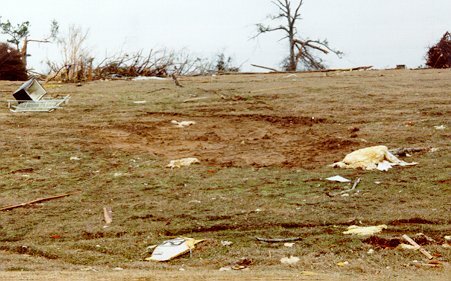 Debris north of Marion-Russell Road. 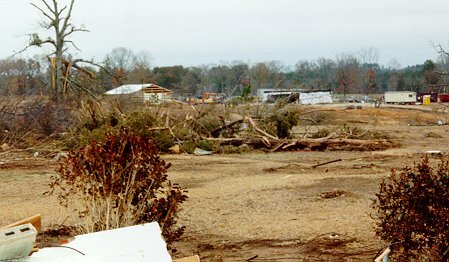 In the background is a new building going up to replace one destroyed by the tornado. 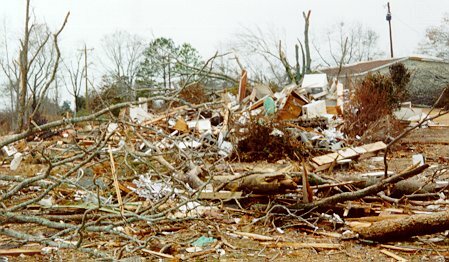 A destroyed house on the north side of Marion-Russell Road. This is where the Jellenc Construction warehouse used to be. This house, near Jellenc Construction, is/was the home of Anne Jellenc. I spoke with her son, Mr. Steve Jellenc, the day I took these pictures. He says he was in this building when the tornado hit, and fortunately did not suffer any serious injuries. 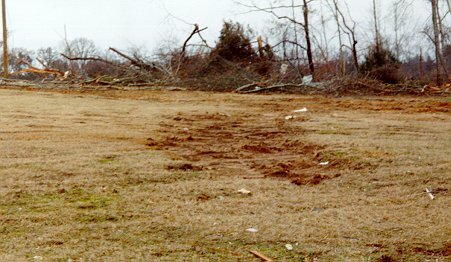 Some small evidence of a possible "suction vortex" within the tornado. 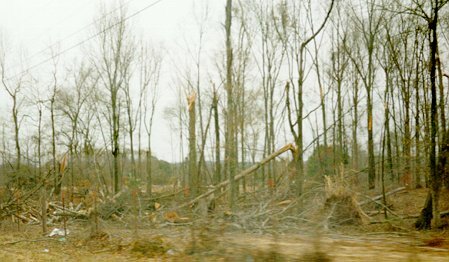 More tree damage off of Old Homestead Rd.